From routine cleanings and fillings to bruxism devices, Rockingham Family Dentistry is equipped to handle all your dental needs. To help you understand your options, we’ve included descriptions of some of our leading services on this page. “Have custody of my granddaughters and have been taking them. It took three visits for him to be able to give her the shot needed to do the filling. He was patient and kept trying and rescheduling. He did great with her! To provide you with these benefits, we focus on aesthetic and general dentistry and provide you with the most comfortable treatment around. Enjoy flat-screen TVs provided by our friendly doctor and staff. We will do our best to alleviate any of your concerns by explaining the procedure and options before any treatment begins. Just as in computers and medicine, dentistry has made enormous advancements in technology. New dental materials, advanced equipment and procedures, and much more advanced medical research have allowed dentists to produce miracles in saving, reconstructing and improving the appearance of people's teeth and smiles. Would you buy a 10 year-old computer? Would you go to a medical doctor who stopped learning any new medical technology and research in the past 10 years, and only delivered outdated 10 year-old medical care? Of course not. So make sure your dentist uses the most up-to-date procedures and materials to produce the best possible results as painlessly as possible. Dr. Hameed takes advanced continuing education every year to keep up with the latest technology. They also take time with each person, ensuring the most desirable results. Good dental hygiene and health is fundamental in achieving general well-being. Investigations show, inadequate oral health can be connected with several serious conditions. Heart Disease, Cardiovascular Disease, Respiratory Disease and an increased risk of stroke; are all more likely to occur if the patient also suffers from poor dental health. Through the measures of General Dentistry, natural teeth can be saved and kept healthy for life. Dr. Hameed also recommends visiting your dentist on a six monthly basis for a thorough examination and cleaning. The American Dental Association recommends you see your dentist at least twice each year for a checkup. Basic dental cleanings are necessary twice per year to remove tartar and debris, which is impossible to remove at home. During this appointment, both the hygienist and doctor will examine your teeth, gums and entire mouth for evidence of decay, broken fillings, gum disease and oral cancer. This is your best resource to keep your mouth in optimal shape for years to come. Gum disease alone has been linked to a variety of problems including heart disease and low-birth weight babies. Call to make your six-month hygiene appointment now! Our office is proud to offer digital X-rays, an excellent alternative to traditional X-rays. They produce 90% less radiation than traditional X-rays and are 5 times more precise and develop immediately. X-rays will be taken as you need them when you come to the dental office. Usually, bitewing x-rays will be taken once per year during a cleaning appointment. Bitewings show us in between your teeth and help us detect cavities that we cannot visualize clinically. This early detection often can prevent you from needing more expensive dental work. 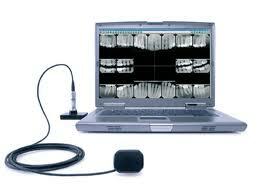 Panoramic x-rays are an excellent method to see wisdom teeth (3rd molars). 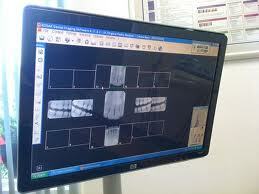 Panoramic x-rays also allow us to examine the bones of the jaw for various abnormalities. Other x-rays are taken on a case-dependent basis to aid in diagnosis and treatment planning. You may not realize it, but studies show that nearly 80% of the population has some significant, undetected level of chronic gum disease, which can lead to tooth loss, bone loss, and is linked to a whole host of other general physical ailments as well. That's why daily home care and visiting your dentist on a six monthly basis for a thorough examination and cleaningis very important. 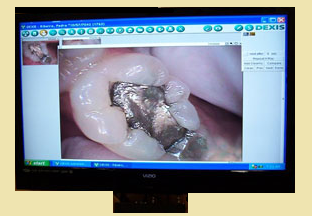 Fillings will be placed when small cavities are detected. Our office places only white, mercury-free fillings. This material is called composite resin and it chemically bonds to your tooth for a very esthetic result. Gone are the days when ugly, obvious amalgam fillings were the only solution to cavities. Today, our office---which is entirely mercury free---offers white or resin fillings. All are durable, comfortable and long-lasting. Impacted teeth and wisdom teeth that can potentially cause problems, like infections, need to be removed. Extractions can range from a single tooth, to removing all four wisdom teeth at once. Based on the preference of the doctor and/or the patient, a local anesthetic could be used to numb the areas where the teeth will be extracted. When drinking, make sure you do not use a straw. The sucking motion can loosen your sutures and slow the clotting process. The same goes for smoking. If you have a chipped, slightly misaligned, or otherwise imperfect tooth that needs cosmetic restoration, we may suggest one-appointment bonding. Dr. Hameed can apply composite resin, shaded to blend with your tooth's color, to rebuild a pleasing shape to your tooth. After hardening the resin with a curing light, he will artistically sculpt and polish the restoration. In just one visit, you can enjoy a beautiful new smile! Cosmetic bonding can be a viable, affordable alternative to porcelain veneers, but it lasts only 5 to 10 years with proper care. Bonding will not discolor as your natural tooth enamel will, so touch-up teeth whitening may be required to keep your natural teeth the same shade as the bonded area. Crowns may become necessary for a variety of reasons. There are a few options for crowns. They can be all porcelain (very esthetic for front teeth), gold (a good option for back teeth, especially for people who grind their teeth), or porcelain fused to metal. Crowns can reshape teeth to a more ideal look. Also, they may become necessary when a tooth has an extremely expansive cavity or for a tooth that is mostly filling. Crowns are used to restore teeth when fillings are no longer an option. Sometimes, teeth can get cracks or fracture lines in them. This is usually the result of grinding, ice crunching or old, large fillings. Sometimes these teeth begin to hurt when exposed to cold and certain other stimuli. A crown is indicated for this “cracked tooth syndrome” as a method to remove the crack and seal the tooth. Do you feel insecure about your smile because you have gaps or missing teeth? Do you experience difficulty chewing or speaking? Are you looking for a more permanent, less obvious alternative to dentures? If so, consider bridges. Bridges---lightweight structures lined with natural-looking crowns----are anchored into place, filling gaps discreetly and providing strong support. Root canals become necessary when the nerve in a tooth becomes inflamed or infected. This is usually caused by deep cavities or trauma. Occasionally, a tooth can begin to hurt for no apparent reason. When the nerve is involved to the point that it cannot recover, we initiate root canal therapy. During this procedure, we remove the entire nerve from the affected tooth, disinfect it and seal it. This is typically done in one appointment unless heavy infection is present. When most or all of your natural teeth have been lost, dentures provide many benefits. They can restore your self-esteem, help you regain your eating ability, allow you to speak more clearly and provide support to the lips and cheeks. Essentially, they can make you look years younger! There are several types of dentures available, including complete dentures (inserted after remaining teeth have been extracted and gums have healed), immediate dentures and partial dentures, which act much like bridges but are removable. When you meet someone, your smile is the first thing they see. There are a number of things that cause stained teeth, and it is difficult if not impossible to avoid them all. This is why many people choose to whiten their teeth. With revolutionary Zoom! 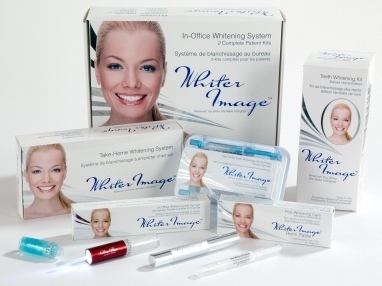 Whitening, you can turn back the clock and transform your smile. Unlike other whitening systems, Zoom! 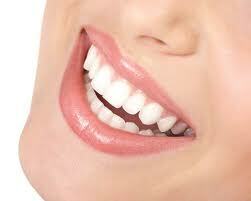 Whitening is a simple and short procedure performed by your dentist. Not only is it safe and comfortable, but the results are immediate and long-lasting. 3 to 4 fifteen minute sessions of Zoom! Whitening is all it takes to brighten your smile up to eight shades. Make an appointment today for your Zoom! Teeth Whitening. If you're looking for a transition to a brighter smile, consider home teeth whitening. Unlike over-the-counter systems, Dr. Hameed prescribes professional-grade teeth whitening. Each kit comes with custom-molded mouth trays that hold a potent, safe bleaching gel snugly against tooth enamel. The stain-lifting action goes to work during the first application. In about two weeks, your smile can be as sparkling as it would with in-office treatment. One very attractive benefit of home teeth whitening is that you can reuse the custom mouth trays indefinitely. When your tooth enamel begins to dull, simply begin treatment again. 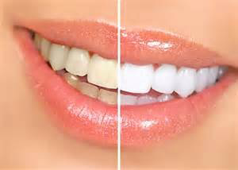 Call Rockingham Family Dentistry to order additional bleaching gel as needed. Your smile is one of the most unique aspects of your appearance, affecting your relationships, your career, and your confidence. Yet, many people take their smile and all its flaws for granted...if it contains dull, stained, chipped, uneven, or even missing teeth, they simply use it less and less. Instead, why not consider the amazing array of easy, effective, life-changing cosmetic dentistry options available today? If you're like so many other patients, you'll find that even a few small enhancements can greatly improve your outlook. And, you'll find out what it feels like to love your smile. A night guard can be an easy fix for countless uncomfortable dental issues including clenching or grinding, stress to your TMJ and headaches. 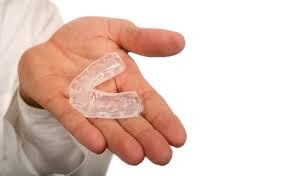 Wearing a custom night guard offers effective and comfortable protection. Please call and ask us for more details or ask Dr. Hameed at your next visit with us. Do you play sports? Would you like to reduce athletic stress on your mouth? Do you want to greatly reduce your chances of a concussion if you were to get hit the jaw? If so, ask us about our Sports Guards. We use advanced instrument sterilization as recommended by the American Dental Association and the Center for Disease Control. We strictly observe all Occupational Safety and Health Administration (OSHA) guidelines. We are HIPAA compliant and fully protect your personal information.